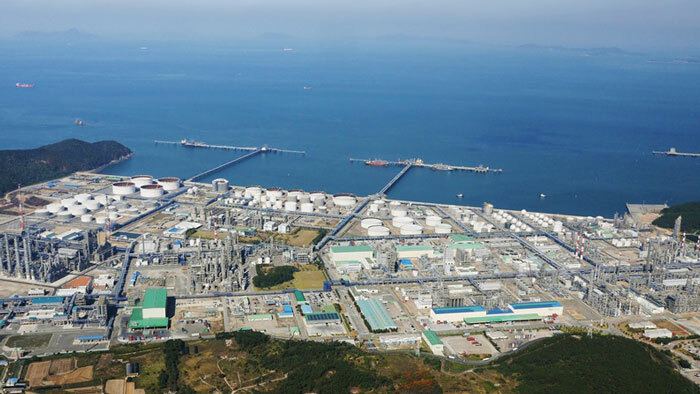 Hanwha Total Petrochemical, a 50-50 joint venture between Total and Hanwha, will invest nearly USD500 million to further expand its Daesan integrated refining and petrochemical complex in South Korea. The planned investment will increase polypropylene capacity by close to 60% to 1.1 million tonnes per year by the end of 2020. The ethylene capacity will simultaneously increase by 10% to 1.5 million tonnes. This project complements the ongoing investments totaling USD750 million to increase the complex’s ethylene production capacity by 30% to 1.4 million tonnes per year by mid-2019 and to expand polyethylene production capacity by 50% to 1.1 million tonnes by the end of 2019. All these investments are designed to take advantage of competitively priced propane feedstock, which is abundantly available due to the shale gas revolution in the United States. With this new investment, Daesan will be in a position to capture margins across the propylene-polypropylene value chain, as it already does in the ethylene-polyethylene value chain. “This new investment in Daesan is fully in line with our strategy of growth in petrochemicals to meet global demand, focusing investments on our world-class facilities and leveraging competitively priced feedstock. This polypropylene project complements our offering of high-value-added polymers to the fast-growing Asian market,” said Bernard Pinatel, president, Refining & Chemicals at Total. Daesan is one of Total’s six world-class integrated complexes and a strategic asset for both shareholders. It comprises a flexible condensate splitter, a competitive steam cracker and units producing polymers, styrene and aromatics.